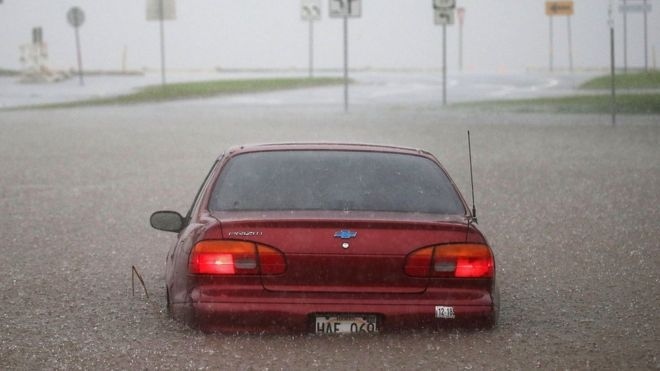 AKIPRESS.COM - Hawaii has been hit with strong winds and torrential rain as Hurricane Lane approaches the US state, causing flash flooding and landslides, BBC reports. Schools and offices were closed as residents took shelter from the storm, which was downgraded to category three strength on Thursday. As the hurricane neared the islands of the Aloha state, it brought winds of 125 mph (200 km/h) and heavy rainfall. The White House said that federal authorities were on standby to provide support and supplies to local and state emergency response efforts.